4-ANDRO readily converts to 4-androstenediol boosting its anabolic potency several times more than regular DHEA. 4-ANDRO is also expected to have a higher conversion rate to testosterone compared to regular DHEA. This increased anabolic potency and reduced thermogenic action will likely lead to noticeable gains in strength, lean tissue growth, and weight gain. 4-ANDRO products are great stackers and can be stacked with almost any compound. Both experimental and anecdotal evidence supports 4-ANDRO ability to raise testosterone levels and improve performance. 4-ANDRO from BuildMoreMuscle delivers 100 milligrams per capsule to provide support for search testosterone synthesis through an enzyme conversion reaction. It’s no secret that finding ways to increase testosterone levels is the current direction the performance-enhancing trend is heading. And why not? Testosterone supports the muscle building process! It’s a fact! It is strongly suggested that the more circulating “free” testosterone you have in your system the more lean muscle mass you’re going to gain as a result of your training! In the Journal of Applied Physiology, scientists concluded …. “studies suggest that testosterone increases muscle mass by increasing muscle protein synthesis.”J.Appl Physiol 66 (1): 498-503. 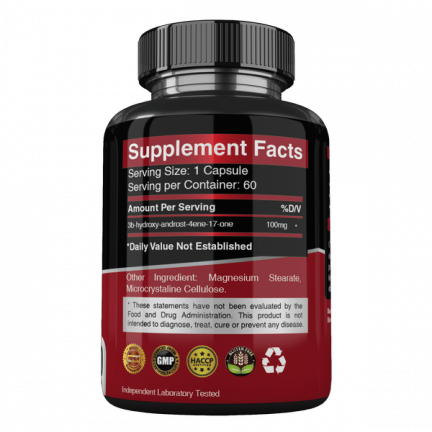 Every bodybuilder knows that nothing and we mean nothing, beats testosterone when it comes to delivering rapid muscle and strength gains, improving your mood, and increasing your libido to levels not seen since you were first hitting puberty. This is why, despite the introduction of a multitude of synthetic androgens from the 1950’s onwards, testosterone reigns supreme as the king of androgens, the one you MUST have in your cycle if you are truly to optimize your body composition and sense of well-being to the maximum possible levels. 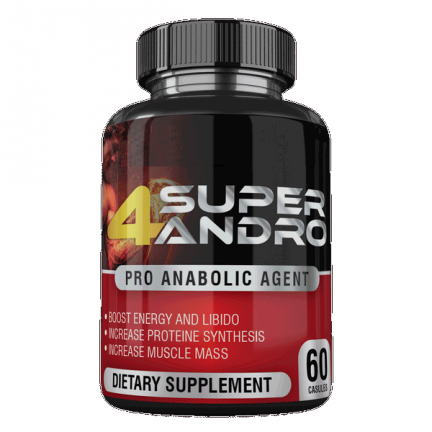 Whether you are a novice or experienced body builder then 4-ANDRO is a must product to help boost your testosterone levels giving you the power you need to build muscles you desire. 4-ANDRO is classified as a prohormone and the closest assimilation to natural testosterone on the market today.